IT Cosmetics is going to be having their first ever Today's Special Value on QVC tomorrow (Friday, January 13th, 2012): This kit, the Complexion Perfection Anti-Aging 4-Piece Collection. Like the name says, it's a set of four items designed to help you achieve the look of flawless skin and help disguise and prevent the signs of aging. This kit includes a brand new super-size jar Bye Bye Pores Anti-aging Silk HD Micro-Powder, a colorless translucent finishing powder that contains real silk. 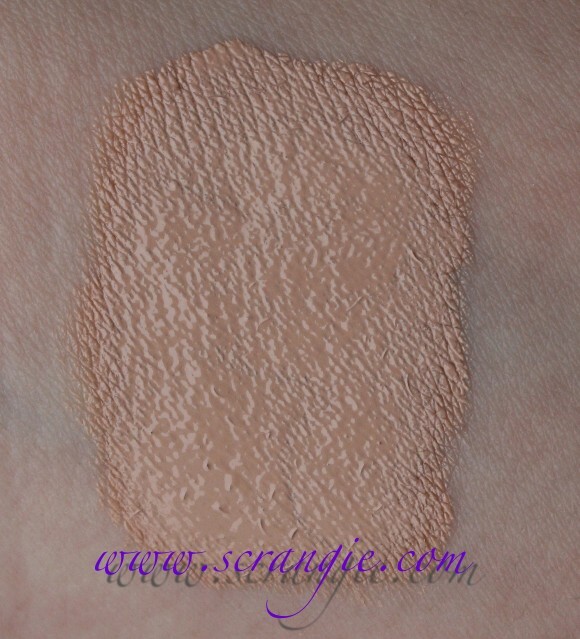 It feels very light and powdery when applied to the skin; this isn't the type of powder that feels like it blends in and disappears. It's fantastic at reducing shine and absorbing oil, but be careful not to over-apply. 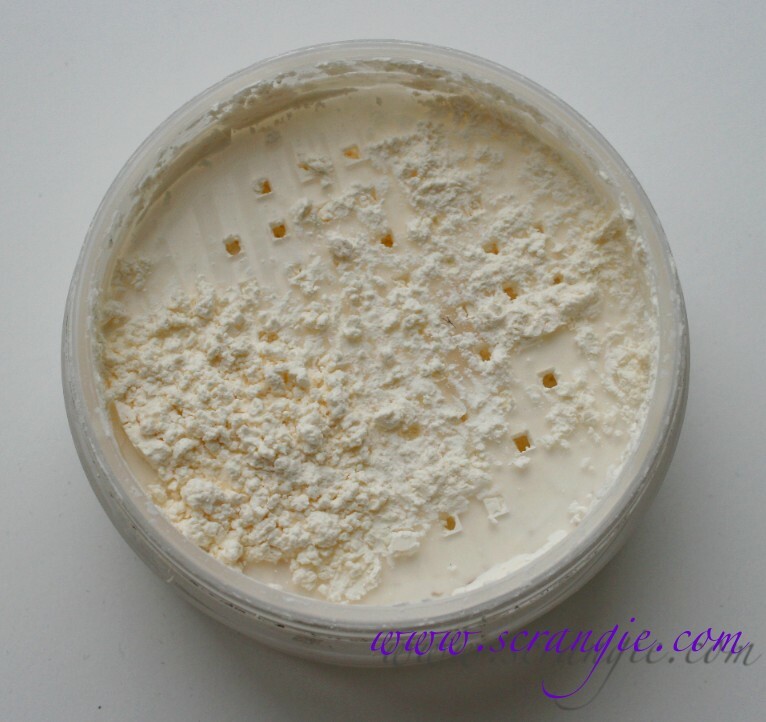 It's translucent, but it is still a powder and will give your face a white cast if too much is applied. It feels to me like a cross between Make Up For Ever HD Microfinish Powder (100% silica) and pure silk powder (like Everyday Minerals Silk Dust). It's light but it has a gritty feel to it and it makes a lot of dust in the air when applying with a brush or powder puff. In addition to the new supersized powder, this kit comes with a full size Bye Bye Under Eye Anti-Aging Treatment Concealer with Collagen. The shade pictured here is Neutral Medium. This is a heavy duty concealer. It is extremely thick and hard to dispense from the tube. You should not apply this directly to your face; it's so thick and stiff that it will tug at your undereye skin unless you warm it up first. Apply a little to the back of your hand, rub it around with your finger and then apply it. 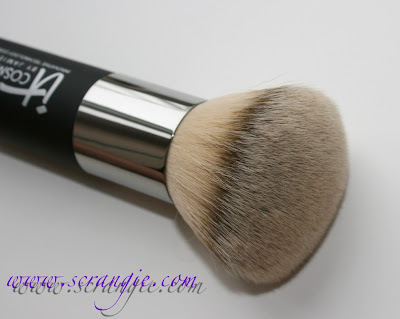 The Heavenly Luxe Ultra-Plush Powder Brush, which is a giant kabuki-style brush with a long handle. It is as the name describes. Heavenly, luxe and ultra plush. It's extremely soft and it feels amazing. Like fluffy bunnies on your face. 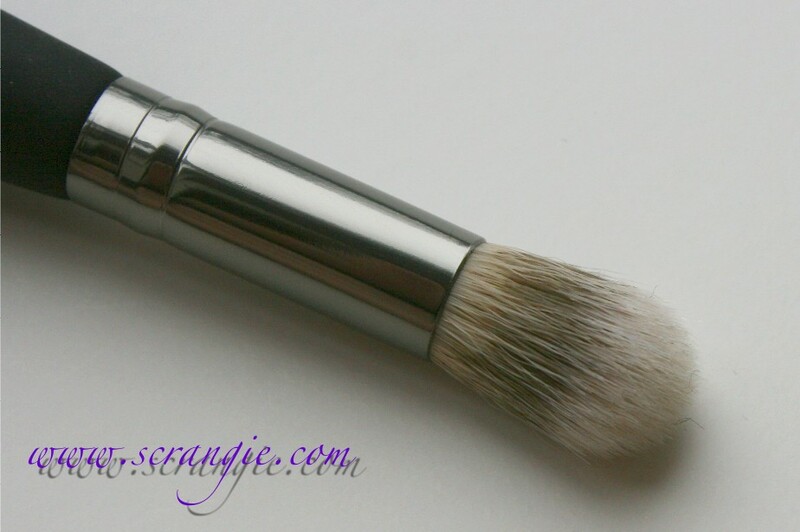 And the brand-new, dual ended Heavenly Luxe Dual Airbrush Concealer/Foundation Brush. One end has a mid-size powder-style brush with densely packed bristles. It's firm but still very soft and fluffy feeling. 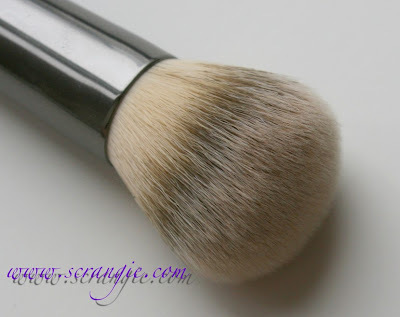 It's like a nicer, softer version of the Bare Escentuals Handy Buki brush. The other end is a small, dense domed brush. A little bit like a rounder, fluffier, more dense MAC 217. 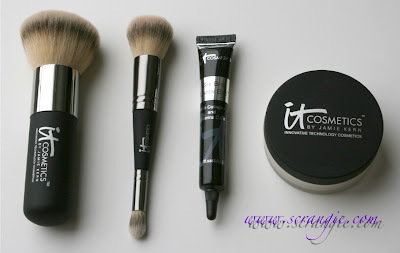 I've tested out each of the products (actually my very first time trying IT Cosmetics makeup), so here's what I thought. The brushes are awesome. They're my favorite thing from the kit, The handles are large and easy to hold, the brushes themselves are super soft and feel amazing on the skin and they do a good job of applying product. I haven't used the dual brush for concealer, but the big one is awesome for powder and the large end of the dual is great for blush and bronzer. The powder takes away every trace of shine on my face and lasts all day. The powder doesn't oxidize and turn orange like some powders do. The tube of concealer is huge. 0.28 oz. Considering you only use a little bit of it since it's incredibly dense, it'll last ages. The set is a really good value; each product retails for $24-$48 alone and the kit is $49.98. The concealer is too dark and too orange for my skin tone. 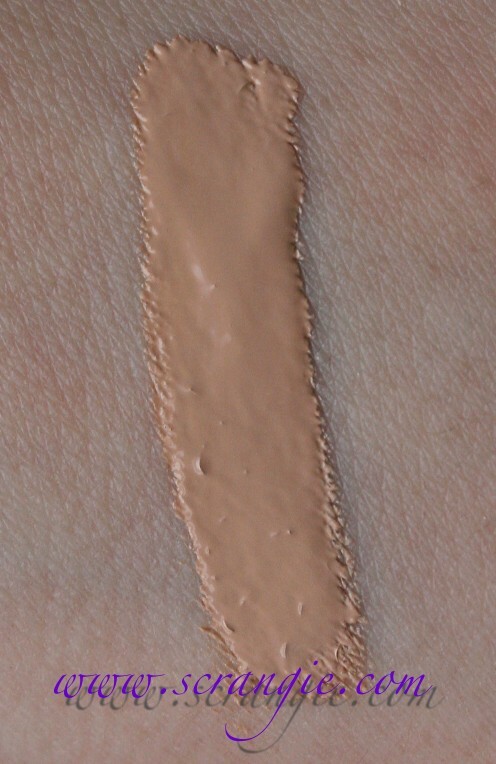 I don't know what the color options for the concealer are, but this shade is definitely for more medium toned skin. The concealer creased badly when used under my eyes. The concealer formula is stiff and hard to apply and blend. The concealer is sticky feeling. The powder feels gritty on the face when applying. The powder is very drying and accentuates any dry or flaky areas on my face. The powder adds a white veil over my skin if I have too much on my brush. The concealer didn't work for me, but I like the other three items. I don't normally wear concealer under my eyes (or really anywhere else), so I didn't expect it to crease so badly on me. I also didn't like how heavy and waxy it felt. My favorite part of this kit is the brushes. They feel so soft and nice and they're such a perfect density, they're not floppy or scratchy at all, I really like them. I'm definitely wanting to check out the rest of their brushes now. If you were to buy each item individually, you'd be paying $186, but the entire kit is only $2 more than buying a single brush, so it's a good value if you've been wanting to try any of these products. This kit will be QVC's Today's Special Value on January 13th, 2012, for the one-day-only price of $49.95. You can order online at qvc.com or over the phone at 1-800-345-1515, item number A220840. Those brushes look amazing. I'm definitely interested. They're really soft. I was impressed. They seem pricey by themselves, though! I'm so glad I read your review. I was going to order this. I already have the powder and the brush. That brush is heavenly. I was thinking of buying the kit just for the brushes. I really don't need anymore of any kind of makeup. I'm trying to just use what I have. When I look at all the makeup, brushes, etc. that I have I feel sick. I'll never go through them all. I do love the powder. It also makes my skin look pretty damn good. It was the concealer that got to me. It sounds terrible. Not for me. I'm not young but I don't have a lot of wrinkles under my eyes. I just don't want a stiff creme to accent the little wrinkle I have. I do have very dark circles. Allergies & heredity are the two I have to thank. Thanks for your very honest opinion. So, so glad that I deleted that email & didn't order the kit. I know how you feel! And thank you. I know that makeup can have different results on different people, but it just didn't work for me at all. I was pretty surprised! It's so soft! I wasn't expecting such a nice brush from a brand I've never heard of before! I made the mistake of buying this concealer from QVC about 6 months ago. I am ALWAYS on a quest for a concealer that will actually fully opaquely cover my undereye circles. This one is NOT it. It didn't cover ANYTHING at all. And the consistency is disgusting. Glad to know it wasn't just me. I don't have any undereye circles but I tried it under my eyes anyway just to see how it worked, and it made me look positively HAGGARD. Like I hadn't slept in days. Oooh...I love fluffy bunny brushes on my face - this alone will make me buy it. I've tried the concealer - not under my eyes, but as a spot concealer, and medium is too orangey. I'll order light to see if it's any better. It's way too thick for under eye, I agree. And after a while I guess some of the concealer hardened in my tube, so when I squirt it out, it's kind of gritty (note to self: throw it out!!). The powder is OK - I only had a teeny sample to try so it was a bit hard to apply and judge. The only product I really loved from this brand was an eye color palette I got several years ago - I hit pan on several of the shades, but then broke the mirror and had to toss it. I got sucked in today...had watched It Cosm since Lisa Mason brought in the company owner of It with what all of NYC was buzzing about on the new concealer. I had heard to really back down on amt of the power or you would turn ash if dark and gray if fair. Since you don't normally wear concealer and found this cracked on you - you might want to tap in some under eye cream and before it's completely sunk in, move in with this IT concealer. It works sometimes to keep concealer from cracking. But oddly non cracking is supposed to be a big selling point about this concealer. I know I will love the brushes & they are worth the kit price...but darn...I am fair/light. I got the med conc. which they said was light/med and only get the fair if you are bone china/Nicole Kidman white which I am not. But seeing the swatch on your hand makes me think the med is totally wrong for me. If I send it back to get the light since it's sold out, I won't end up getting the brushes to keep. Will call and see if there is any way to change my order to light now...maybe they just did not have enough left to leave it on air. I should have listened to my inner voice saying always go a shade lighter on my concealer. WOW! The brushes look so soft and fluffy! I can almost imagine what it feels like on the face! =) HAhA!